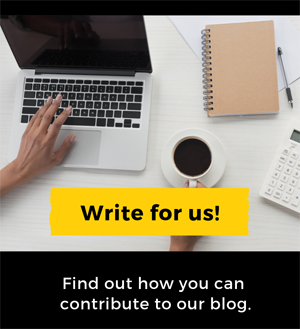 Do you spend time on social media and content marketing, but don’t get the results you want? 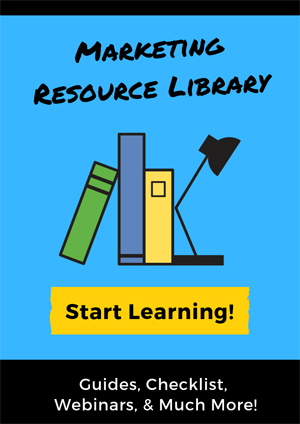 Are you not sure what information you should be sharing? Do you feel like you put time and energy into social media, but don’t get the likes, shares, and retweets you feel you deserve? If anything above sounds like something you can relate to, then this article is for you! Let’s jump into what you really need to know about why people share content and what type of content you should create to increase your social reach. The New York Times studied why people share what they share online. They also did a deep dive into analyzing if these people were of distinct personalities and had distinct motivations. People share content to improve the lives of other people. They do this by providing helpful information or by spreading information they think will entertain or make others laugh. 94% of the people interviewed said they carefully consider how the information they share will be useful to the recipient, and 49% say sharing allows them to inform others of products they care about and potentially change opinions or encourage action. People share information that they feel reflects who they are. 68% of people share to give others a better sense of who they are and what they care about. Sharing similar interests is a natural way to connect with people. 78% of people share information online because it lets them stay connected to people they might not otherwise stay in touch with. Everyone wants to feel like they’re providing value to others. 69% of people online share information because it allows them to feel more involved in the world. 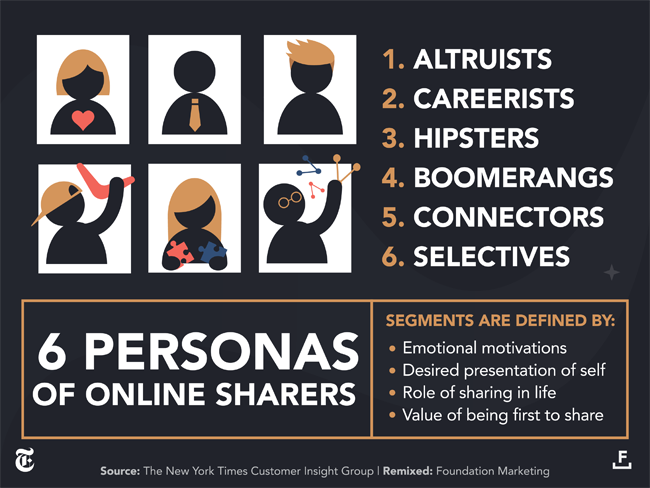 These segments (personas) are defined by emotional motivations, desired presentation of self, the role of sharing in life, and value of being first to share. The altruists share content because they want to look helpful, reliable, thoughtful, and connected. They are more tending to choose email option over other mediums. The careerists share content because they choose to be more valuable and intelligent. They want to be a part of the network of professionals. The hipsters are driven by the latest trends and fashions. They are, generally, young people who want to have their own unique identity, present themselves as more creative and want to be more popular. They don’t want to use old systems like emails to get connected, but they want to use the latest technology and want to look smart. The boomerangs are driven by the emotion of getting noticed. They seek validations and reactions after sharing content. They want to be empowered. They use platforms like Twitter and Facebook where people keep on discussing nitty-gritty things for a long time. The connectors are driven by their positivity, creativity, thoughtfulness, calmness, and believe in making plans. They are open to using old methods of sharing like emails as well as latest platforms like Facebook. The selective are driven by their caring nature and they are resourceful, thoughtful, and informative. They understand that email is a kind of personal care. Sharing is how consumers connect with each OTHER, not with YOU. That might be big news to some people. You need to appeal to consumers’ motivation to connect with each other — not just with your brand. Your audience has to trust you to want to share your information. The simpler, the better. 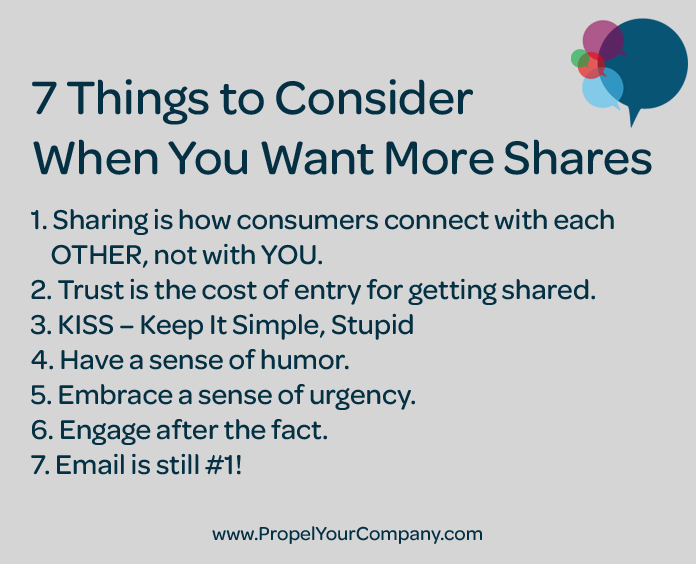 Keep it simple… and it will get shared! You need to be able to appeal to your audience’s sense of humor. Timely and relevant information is more likely to get shared. Never underestimate the value of email! Remember, if Twitter goes down tomorrow, you don’t want to lose contact with your 15.5K followers. Information for this post was gathered from a study conducted by the customer research division of the New York Times and a remixed version of the study presented by Foundation Marketing.